The plant world is full of surprises, especially in the realm of flowers. Flowers come in all colors, with a wide variety of different characteristics. The size of a flower may be the feature that attracts us to a particular species of plant. Large flowers can create a spectacular show in the home or garden. Dahlia plants grow in all sizes, from 1 to 6 feet tall. Although the size of the plant does not necessarily dictate the size of the flower, dinner plate dahlias are the largest plants, with flowers reaching 12 inches in diameter. Dinner plate dahlias are available as different types. 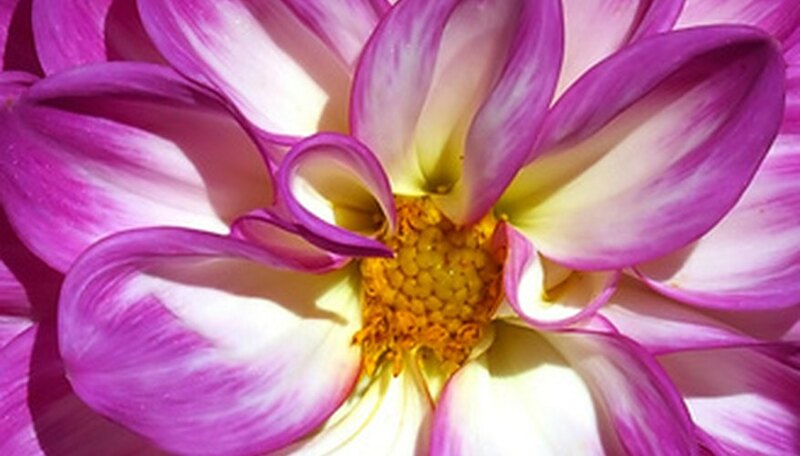 The different types of dahlias have different flower characteristics such as single or double petals. Cactus dahlias have rolled, tubular petals. Ball dahlias are globe shaped, and decorative dahlias have petals that twist or turn backwards. 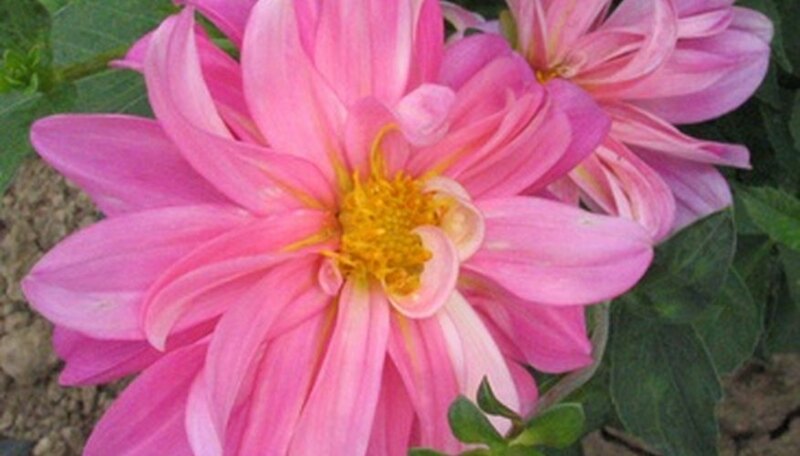 Dahlias are grown from seeds or tubers. They need full sun and rich soil. Dahlias like to be kept evenly watered. Mulch helps prevent fluctuations in soil moisture. Canna blossoms are large and showy. Canna plants grow from tubers or seeds, and may reach 6 feet in height. The foliage can be as showy as the flowers. The large leaves grow in shades ranging from yellow-green to deep green, and deep red or bronze. Canna flowers are clustered, with the individual flowers measuring up to 6 inches across. Dwarf canna varieties, such as Pfitzer cannas, may reach only 2 feet tall, yet they still bear full-sized blooms. The flowers are bright yellow, red, pink or orange, with various shades and variegated petals. 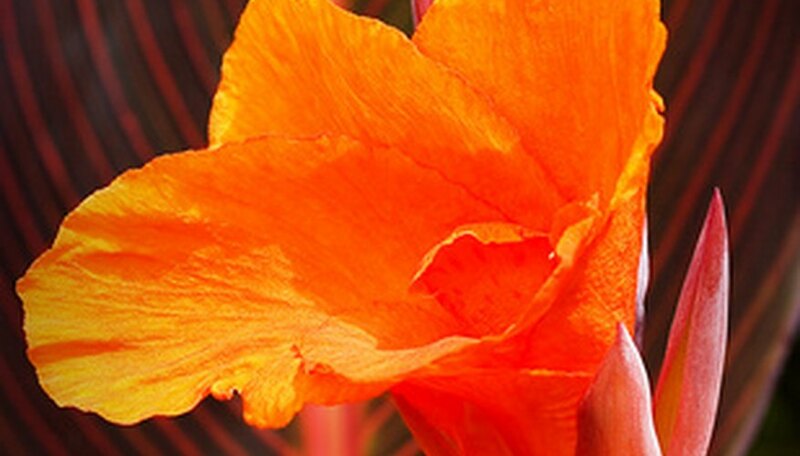 Cannas are tropical plants, and the tubers must be lifted and stored in areas with freezing winters. Hardy hibiscus are native wildflowers in much of the U.S. as far north as USDA zone 4. 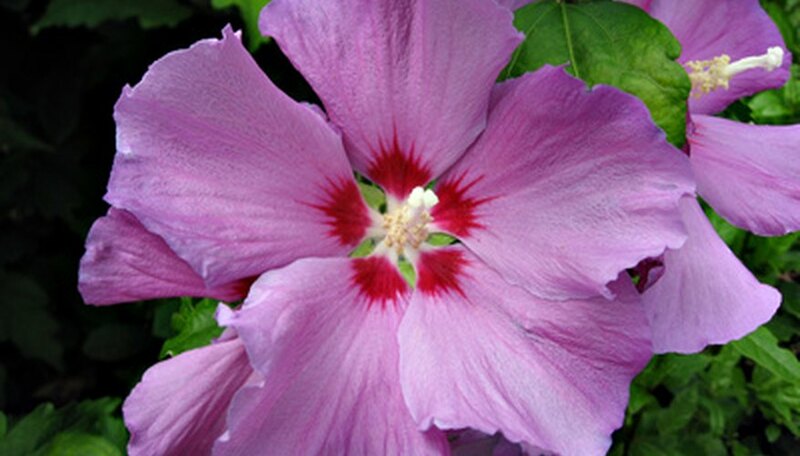 The wild hibiscus plants have been hybridized, and modern versions have blossoms measuring 12 inches in diameter. Hardy hibiscus are shrubs that are lovely as specimen plants or as light hedges. Lord Baltimore is a variety with vivid red flowers, and old yella has pale yellow blossoms. White and pink variegated petals make disco belle pink an outstanding variety. Hardy hibiscus need full sun and occasional pruning. They are late to leaf out in the spring, but they will dazzle you with flowers all summer long. Amaryllis grow from bulbs, with strap-like foliage followed by flower stalks that grow up to 30 inches tall. Flowers are borne at the tip of the stalk in a cluster, usually with 3 to 4 blossoms per stalk from mature bulbs. Each blossom may be 6 inches across. 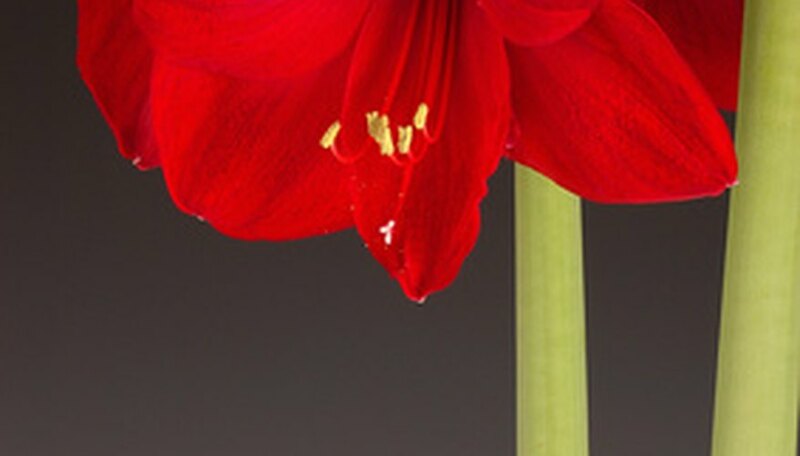 Amaryllis are available in a variety of colors. Red flowering varieties are marketed as bulbs in autumn to grow indoors as potted plants for December blooms. Amaryllis can be planted outdoors, but they must be lifted in areas that freeze. They require a six-week period of dormancy to bloom again.